At Southern Explorations, we have a passion for Latin America. But when our wanderlust takes us to different continents, we turn to like-minded companies that we trust, just like Your Private Africa, who are experts at crafting safaris for all types of travelers, with amazing on-the-ground connections, and a passion for excellence and dedication to delivering the experience of a lifetime. Following their most recent scouting trip to Madagascar they've shared their 'Three Reasons to Visit Madagascar' with us. In December, we returned from our second trip to Madagascar exploring the north part of the island this time around. In May of 2017 we explored the east and southern part of the island and both trips delivered on wildlife and adventure. It’s hard to sit still in Madagascar, whether you are hiking through the Andasibe forest to find of the world’s largest lemur (the Indri) or scuba diving exploring the coral reefs in search of unique fish like the Napoleon Wrasse off the northern coast, there is so much to explore. We visited several different areas and forests on our first trip including Andasibe in the east and The Gallery Forest and Spiny Forest in the south which each housed several different species of lemurs including the golden-crowned sifaka and, possibly the most famous thanks to Disney’s Madagascar, the ring-tailed lemur. It was incredible how close we were able to get to the lemurs by trekking on foot. We spent most of our first trip exploring by land and our recent trip we explored the sea. On our recent trip we spent most days scuba diving and discovered that Madagascar is home to some of the most beautiful coral I have ever seen. The amazing thing about the beaches in Madagascar is that there are several land-based activities available including lemur treks and community visits in addition to scuba diving, snorkeling, whale watching and sport fishing. Madagascar is a great destination for couples, friends and solo travelers but for families it is truly epic due to the large variety of activities on offer. I can honestly say that you could spend 1-2 weeks in Madagascar and never get bored. If you enjoy wildlife, being active and supporting conservation then you must add Madagascar to your bucket list. Learn why we love Madagascar on our blog post: Three Reasons to Visit Madagascar. If you have seen episode 3 of Planet Earth II then you are already familiar with the world’s largest lemur, the indri. Found in the wild only in Madagascar, lemurs are part of the primate family and have been isolated from the evolutionary changes of the world due to their seclusion on the island. Madagascar is home to nearly 60 "taxa" of lemurs (species, subspecies, and populations from 33 species across 5 families and 14 genera) ranging in size from the 25-gram pygmy mouse lemur to the indri. All these species are endemic to Madagascar. Chameleons of many kinds are also found in Madagascar and you’ll be impressed by your local guide’s ability to spot these well disguised creatures. A trip to Madagascar will include easy to moderate nature walks and hikes to explore the forests in search of lemurs. In addition to daytime walks you’ll also be able to experience night walks in search of endemic nocturnal species. For those that love to get up close and personal with wild animals, Madagascar will not disappoint. In Madagascar humans pose the highest threat to the forests and the wildlife that lives in it. 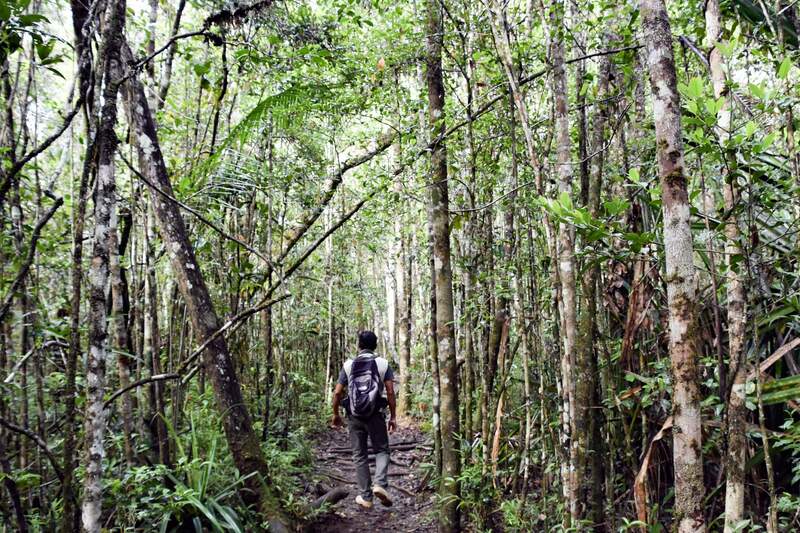 Less than ten percent of Madagascar’s original intact forest cover remains today. Tourism proves to locals that there is huge value in protecting these animals and gives reason to keep the remaining forests in tact. According to Russell Mittermeier in The Eighth Continent “Madagascar is only one of 92 countries with wild primate populations, it is alone responsible for 21 percent (14 of 65) of all primate genera and 36 percent (5 of 14) of all primate families, making it the single highest priority for primate conservation. Madagascar is so important for primates that primatologists divide the world into four major regions: the whole of South and Central America, all of southern and southeast Asia, mainland Africa, and Madagascar - which ranks as a full-fledged region all by itself."